Together, all three of these add up to a powerful weapon that is a vital part of running your online business. And, the investment to get your personal copy only adds up to pocket change of what it makes you... only $57. P.S. If youre serious about building a long-term web business, then adding a copy of Blogging Ninja to your arsenal is a smart decision. Its the choice between neglecting the search engine rankings and profits you can so easily have... or potentially doubling the profits for each of your projects. P.P.S. 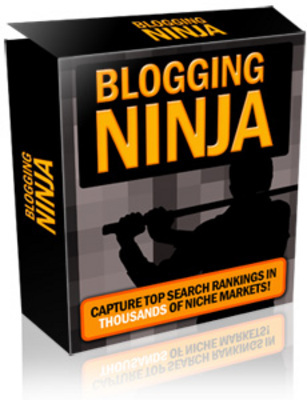 Blogging Ninja is a powerful tool for anyone who does business online. If youre an affiliate marketer or sell in many different markets, then you can now keep up with potentially thousands of blogs!